Renee's Paper Treasures: Saturday Spotlight: Stampin' Up! " 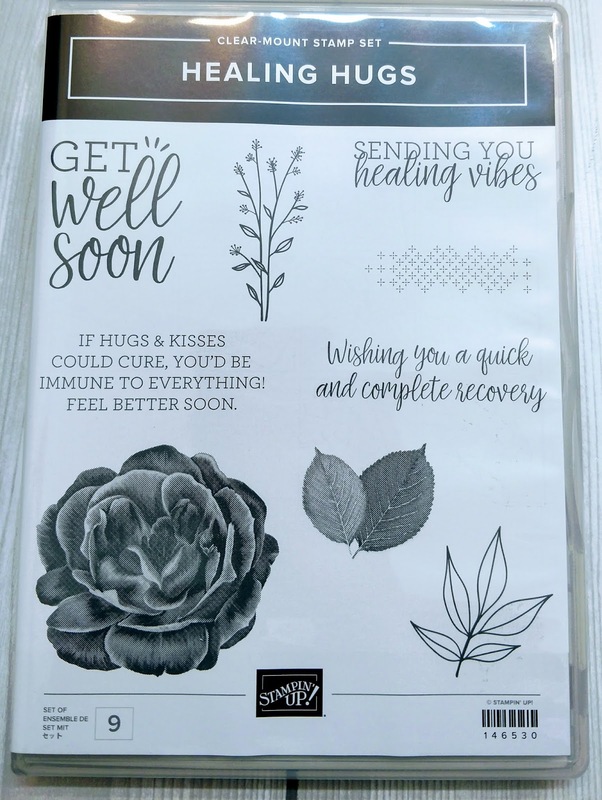 Healing Hugs"
Saturday Spotlight: Stampin' Up! " 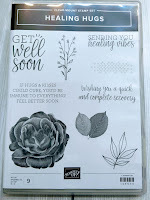 Healing Hugs"
Love and Comfort featuring Stampin' Up! "Healing Hugs"
Saturday Spotlight is a new blog series that starts today. Each Saturday I will share a project created spotlighting a new stamp set from the new annual catalog. 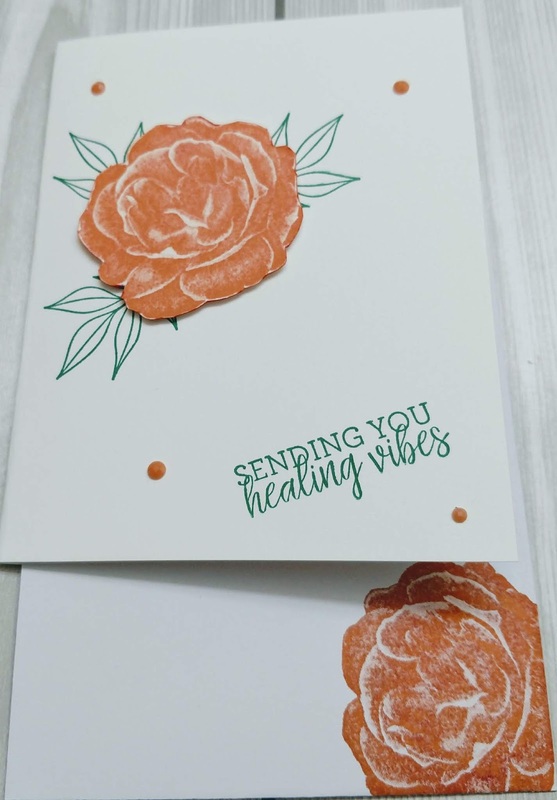 The Saturday's Spotlight for June is the "Healing Hugs" stamp set. I really love the detailed image of the flower. This is a super quick and easy card to make. Card measurements: 8 1/2" x 5 1/2", scored@ 4 1/4"
5. Stamp the leaves image on the card base as shown in the picture. 6. 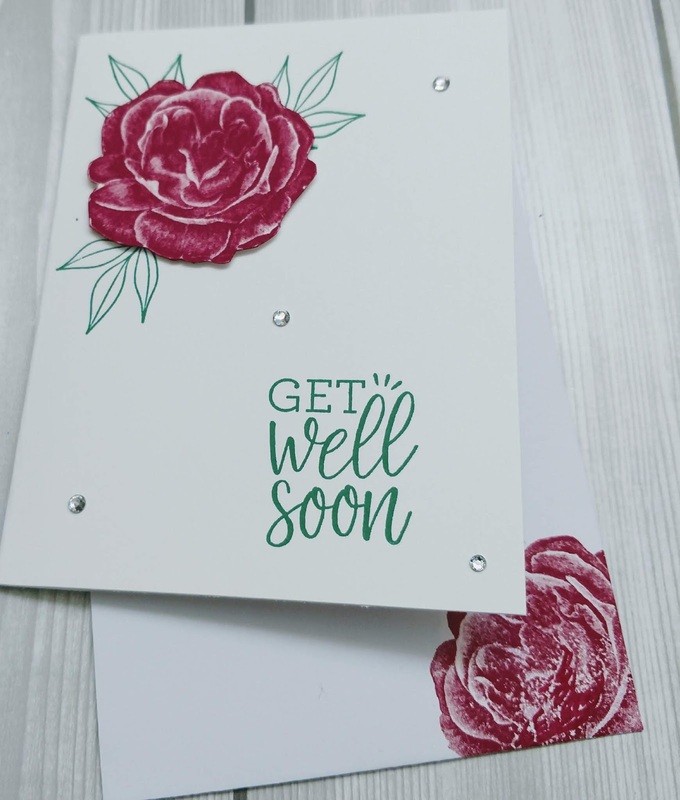 Using dimenstionals attach the cut out floral image on card base over leaves. 7. Add embellishments of your choice to the card. 8. Add floral image to envelope for that little bit of extra. Voila your card is complete.